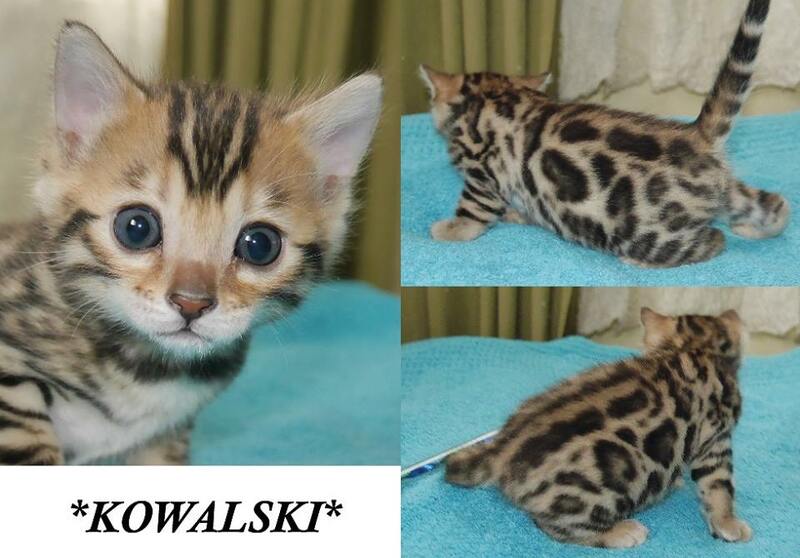 We have decided that little Kowalski has the cutest face we’ve ever seen! She has large rosettes and nice acreage (spacing between her rosettes) that is consistent all the way from her shoulders down to her back legs. 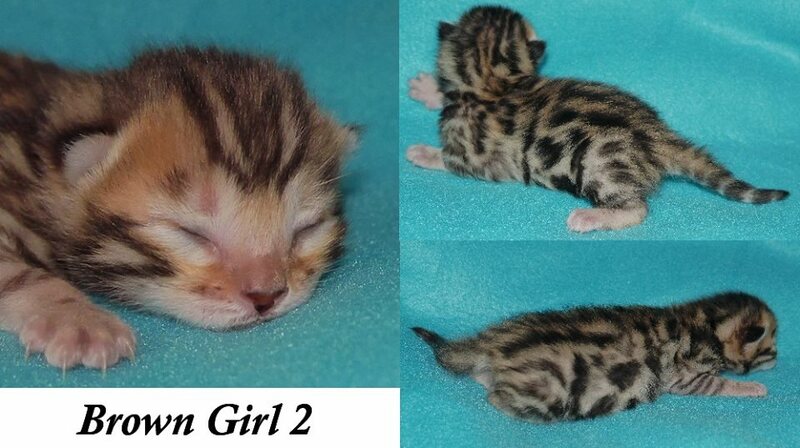 She has a nice bright light background and will be a flashy looking little girl! 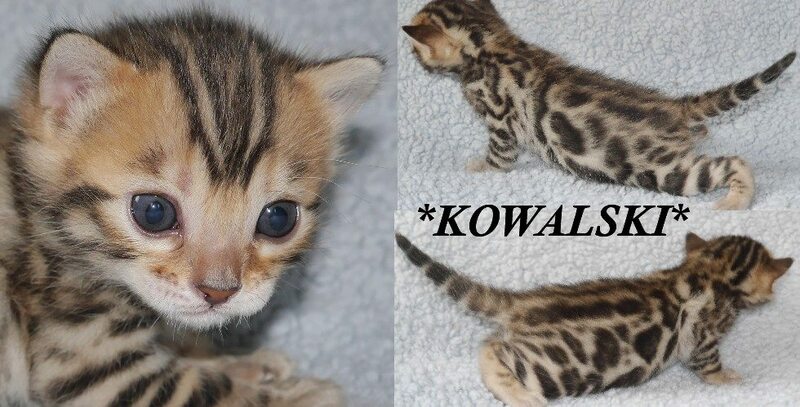 Part of our Penguins of Madagascar themed litter, Kowalski gets her name from the Second-In-Command ranked Skipper’s Lieutenant. Easily noted as the smartest, tallest, thinnest and eldest of the Penguins. Often he will formulate a plan or backup plan for the penguin group. Additionally he is seen furiously taking notes given by Skipper. Part of our Penguins of Madagascar themed litter, he gets his name from the Second-In-Command ranked Skipper’s Lieutenant. Easily noted as the smartest, tallest, thinnest and eldest of the Penguins. Often he will formulate a plan or backup plan for the penguin group. Additionally he is seen furiously taking notes given by Skipper. 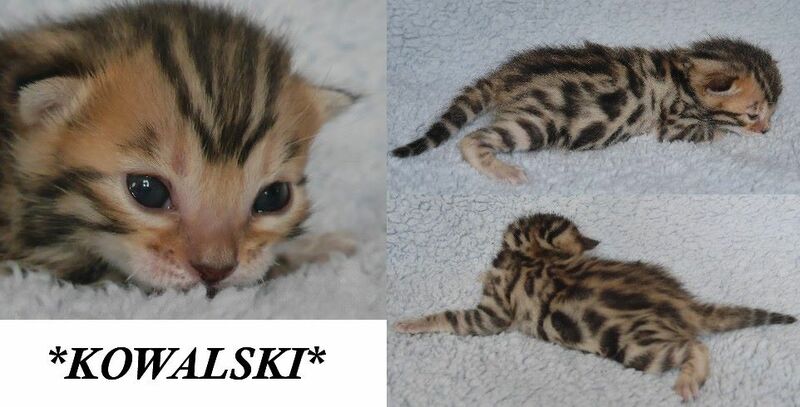 This entry was posted in Bengal Kitten Gallery and tagged brown rosetted, Brown Spotted Bengal Kitten, Kowalski. Bookmark the permalink.